Chase the heroes and villains of the galaxy with Funko Star Wars Solo Mystery Minis. 2018's Solo: A Star War Story is not light on collectibles, and the blind-box set provides a detailed miniature option. 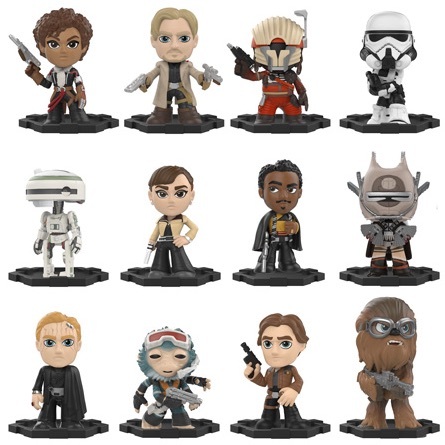 The Funko Star Wars Solo Mystery Minis list features many of the subjects from the Solo Pop! line, but with the normal Mystery Minis style. Like The Last Jedi, the figures snap together at the base to form a larger item. The checklist includes fan favorites Han, Chewbacca and Lando, plus new characters like Qi'ra, Tobias Beckett and L3-37. 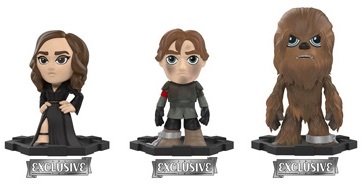 Buy Solo Mystery Minis on Entertainment Earth. 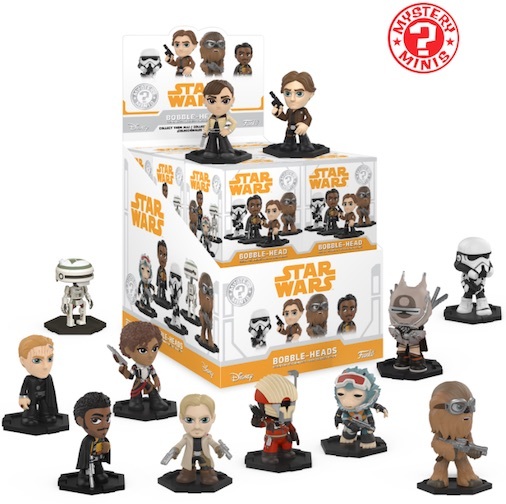 Each falling at different odds, some of the Funko Star Wars Solo Mystery Minis figures come with considerable rarity. There are also exclusives, which are special versions not found in the main format that is sold at most retailers. According to Funko, Target is where you need to go to find the six exclusives, including different options for Han, Tobias, Chewbacca and Qi'ra. It was not made clear if one format has all six exclusives, or if there are two different exclusive formats. Details on the exclusives are shown below and the checklist contains a breakdown of the Funko Star Wars Solo Mystery Minis box odds and individual figure rarity. Shop Solo Mystery Minis Boxes on Amazon. Han Solo Funko Star Wars Solo Mystery Mini From The Solo Movie! Funko Mystery Mini Q'ira Target Exclusive Vinyl Figure From The Solo Movie!